U.S. Army Private Leo K. Chalcraft died in the English Channel off the coast of Normandy when the ship transporting him sank Dec. 24, 1944. The Belgian troop ship the Leopoldville that was sank 5 miles off the coast of France on Christmas Eve 1944. Charlotte Chalcraft, Albert (Bruce) Chalcraft and history student Konner Ross at the Chalcrafts' home. 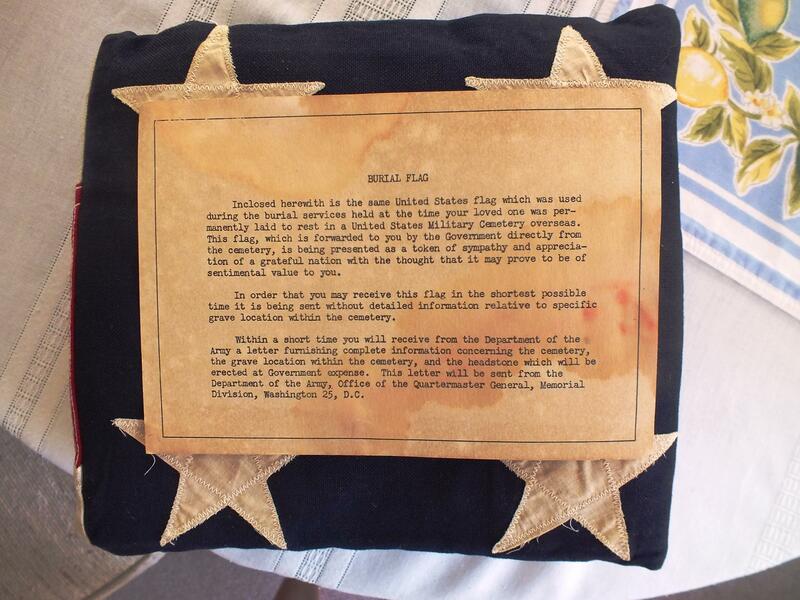 The burial flag for Leo Chalcraft sent to his mother Lelia Chalcraft of St. Petersburg, FL. 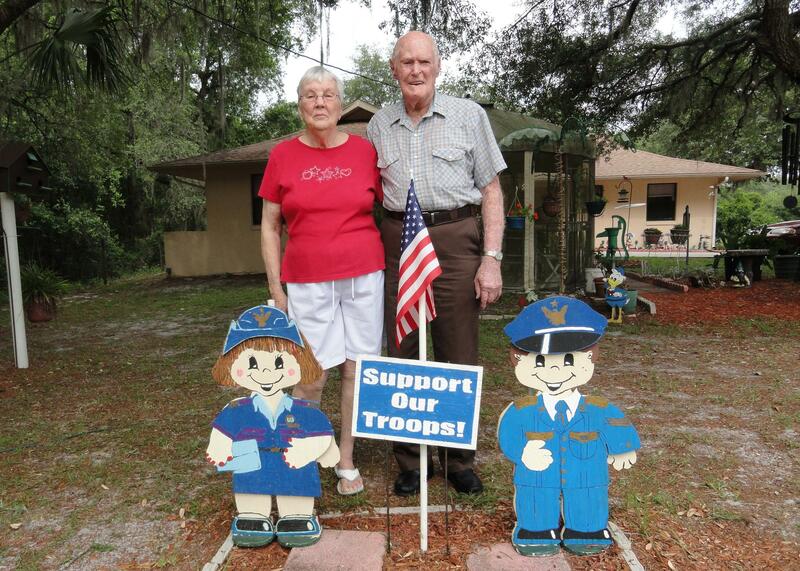 Charlotte and Albert (Bruce) Chalcraft of Inverness, FL are keepers of Leo Chalcraft's legacy. 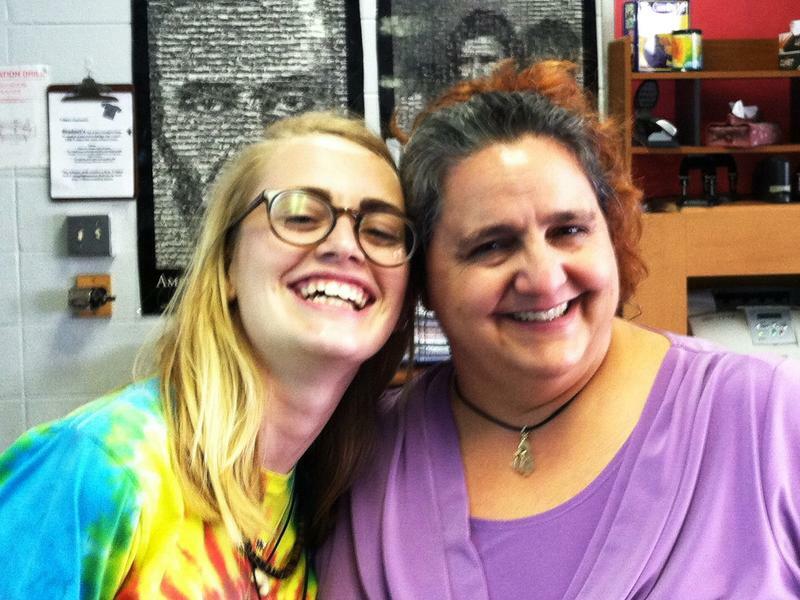 Largo High School student Konner Ross and her history teacher Deborah Pettingill. 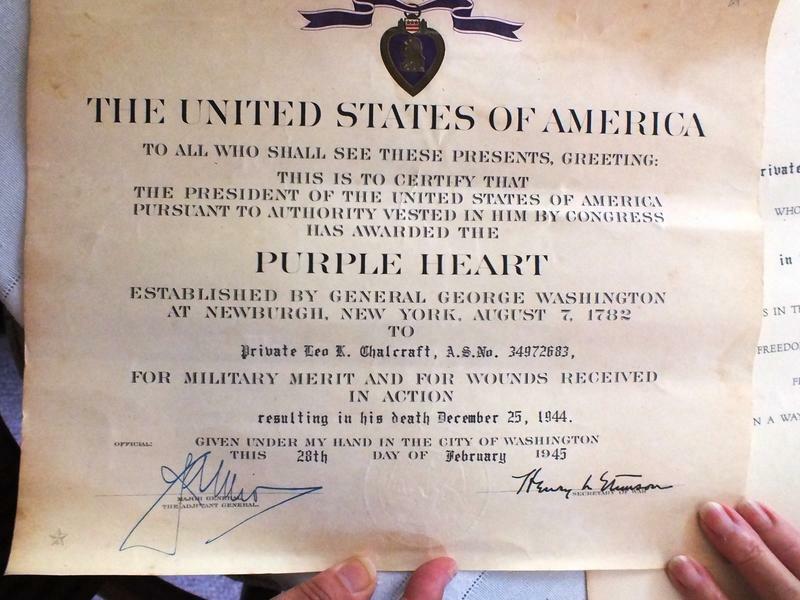 The citation for Leo Chalcraft's Purple Heart. A letter of sympathy from President Franklin D. Roosevelt. 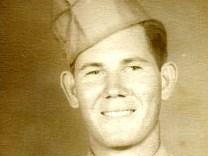 Army Private Leo Kenneth Chalcraft was a green-eyed, brown-haired teen from St. Petersburg, FL when he was killed in action in World War II. It happened just six days after his 19th birthday. Today, his grave is among the 9,387 military dead buried in France at the Normandy American Cemetery that overlooks Omaha Beach. There, 72 years ago this June 6, U.S. troops stormed the beaches on D-Day, marking the beginning of the end of World War II. “He was so young and I feel like he didn’t get to experience a lot of his life,” said Konner Ross, a 17-year-old who lives in Largo, near St. Petersburg. Ross is part of “The Normandy: Sacrifice for Freedom Albert H. Small Student & Teacher Institute silent hero project” run by the National History Day program. Fifteen teams of high school students team up with teachers from around the country to research a soldier, sailor or airman from their home state, who is buried in Normandy. Ross is studying military documents, online archives and personal mementos to learn more about Leo. Her research has brought her so close that she now refers to the young soldier only by his first name. Ross and her Largo High School history teacher, Deborah Pettingill, chose Chalcraft as their silent hero because he had lived nearby in St. Petersburg. Pettingill found his younger brother living about an hour’s drive north. 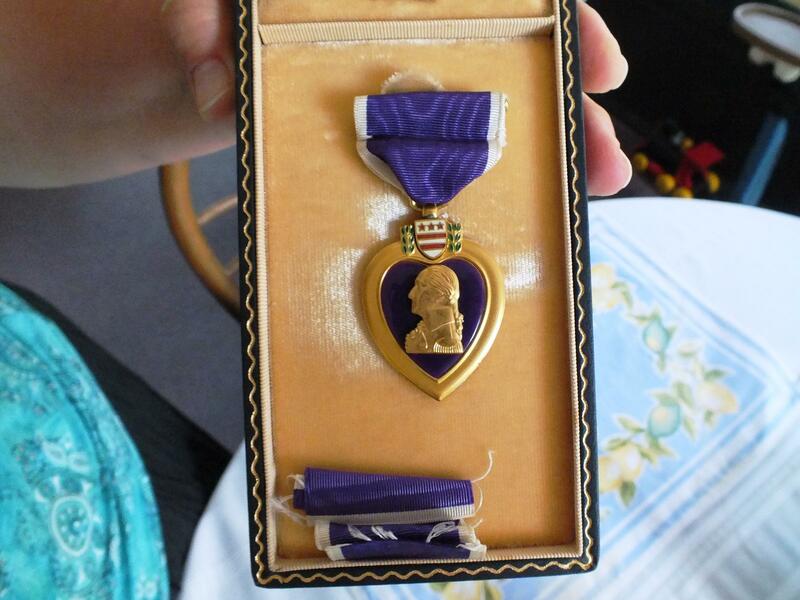 The Purple Heart awarded to Leo K. Chalcraft after being killed in action Dec. 24, 1944. Leo’s younger brother Albert, who is known as Bruce, and his wife Charlotte now are the keepers of Private Chalcraft's legacy. “When Mom Chalcraft passed away, that’s when I found out about Leo. She never spoke of him. I had to go through her papers and stuff and that’s when I found the items,” Charlotte Chalcraft said. They have the flag that draped his coffin, his Purple Heart, his water-soaked wallet and a handful of letters he wrote home: all fragments from the end of Leo’s life. The beginning of his story, as Ross and Pettingill have learned during their research, was much like other families during the Great Depression. Bruce Chalcraft said Leo dropped out of school before 7th grade to work at a gas station fixing cars. 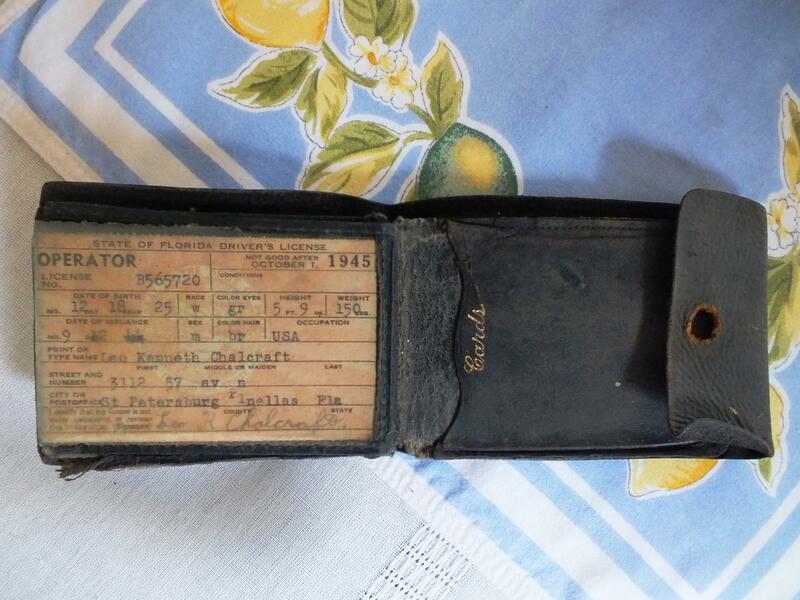 Leo Chalcraft's water damaged wallet is among the possessions sent home to his mother after he was killed in action. Leo was drafted into the Army at 18. There are few documents to give insight into that part of his life, but for the handful of letters mailed home. Written in a luxurious long-hand, he asked about his brothers, said said he was sending home $20 a month. He also asked his mother to send him candy and cookies. She never got the chance. Leo was killed days after writing that letter when his troop ship, the Leopoldville, was torpedoed off the coast of France on Christmas Eve, 1944. “He shouldn’t have died that day,” history teacher Pettingill said. 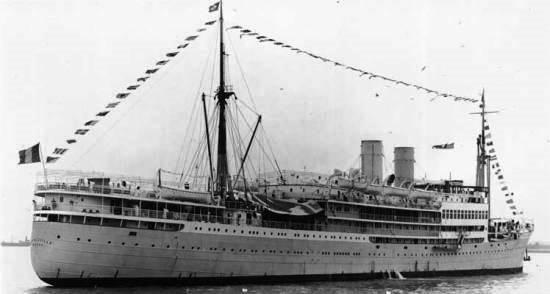 The troopship was only five miles off the French coast when it was attacked. It took two-and-a-half hours to sink, and could have been towed ashore. But survivors said rescue vessels were slow to respond. More than 750 soldiers died. Leo Chalcraft was among those who died that day. 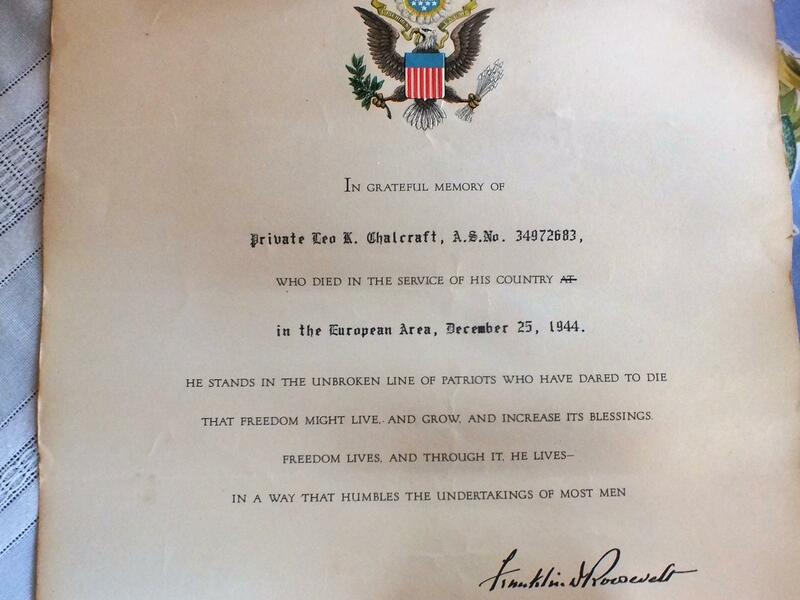 He was taken to his final resting place, with his infantry buddies at the American Cemetery in Normandy. That’s where Ross plans to be later this month to deliver a eulogy at Chalcraft’s grave. The toughest writing assignment 16-year-old Konner Ross will have this year is to write a eulogy for a young man she’s never met. But there’s a part of him the Largo High School junior never forget – his green eyes. 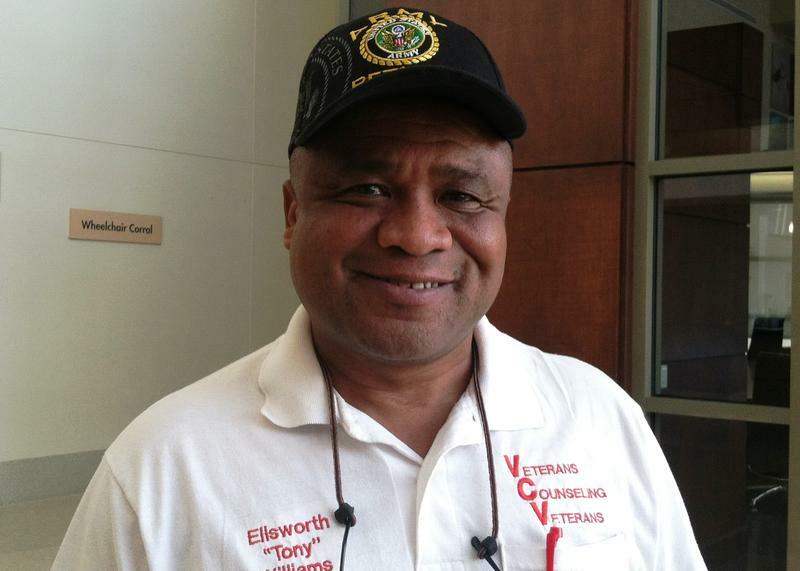 A Florida congressman says the Veterans Administration cut off the benefits of more 4,200 people nationwide after they were wrongly declared dead.